Find all the Questions asked in Capgemini placement papers with answers. The difficulty level of the paper has been increasing every year as observed consistently in Capgemini previous questions. Now, Capgemini placement papers are conducted by Cocubes. Capgemini previous year question papers are of moderate to high in difficulty, we suggest that rather than solving Capgemini sample papers or Capgemini model papers and Mock test papers for Capgemini exams, study from our Capgemini Cocubes questions with Answers asked Capgemini Cocubes placement papers. We have the latest papers in accordance with Capgemini placement process for 2018 and 2019. The hardest section is Capgemini Quants Questions with solutions, Capgemini previous papers, Capgemini previous placement papers with answers Download PDF. Find the latest Capgemini Syllabus and latest pattern here on this page. There are a lot of free section don’t worry. They should should keep you busy for atleast 1 week. Capgemini uses CoCubes to conduct its first round in placement papers this year thus you must study from capgemini placement papers by cocubes. 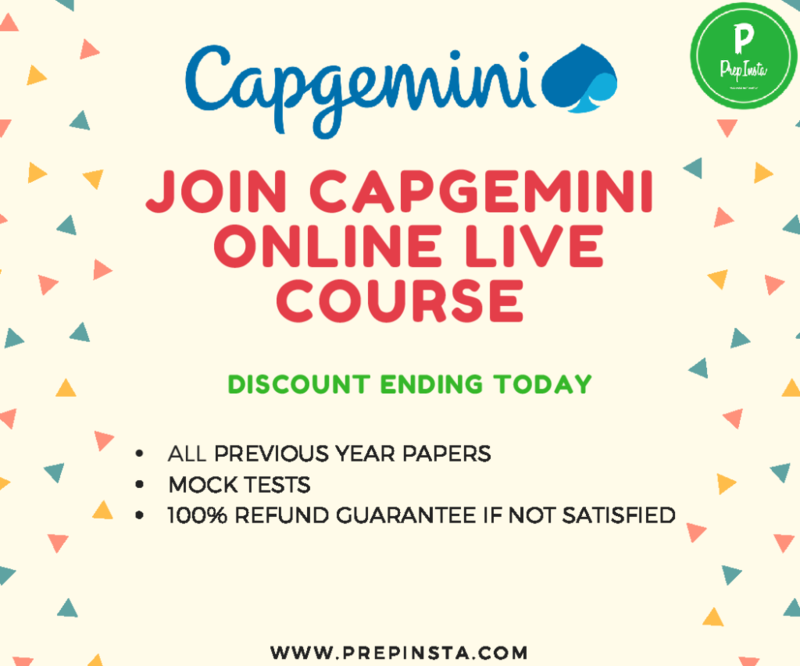 We have provided all CapGemini Questions that were asked in Capgemini Cocubes Questions below thus, studying from capgemini cocubes placement papers 2019 is recommended for capgemini question paper. This section in capgemini written test papers is a little lengthy and most students are unable to solve the whole paper in time. Thus we will suggest to Practice well for capgemini previous questions and answers. This section in capgemini written test papers is not lengthy but its tough, you must have practiced a lot of complicated Logical Questions since exam fear is always there. In 2017 as analysed by Capgemini Previous Papers had Introduced a new section called essay writing where they basically check if you can write emails. Since, you will have to contact many clients by email in US, Europe etc. So, its very vital for them. The below sections are not asked anymore please ignore the below sections still are good Capgemini Model Papers. These are actual Capgemini Questions thus there is no need to study from any Capgemini Model Papers as studying from actual questions in the exams will be better for capgemini question paper. Written English Test (WET) – Essay type question. Need to Write an article in 30 mins. Ques. Which Platform does Capgemini use to conduct its first round in CapGemini Placement Papers based Process? Ans. Capgemini has been using CoCubes as the first round of the placements since the last few years in Capgemini Test Papers with Solutions Thus you should be studying from CoCubes CapGemini Previous year papers. Ques. What is the average difficulty for Capgemini Previous Papers? Ans. These are hosted by Cocubes so instead of Capgemini Previous Papers we analyse Cocubes, which generally is of moderate difficulty level thus Capgemini Previous Papers are also of the same difficulty but you must atleast give 1 week for preparation. Ques. From where should I prepare for Capgemini Previous Placement Papers with Answers Download PDF? Ans. 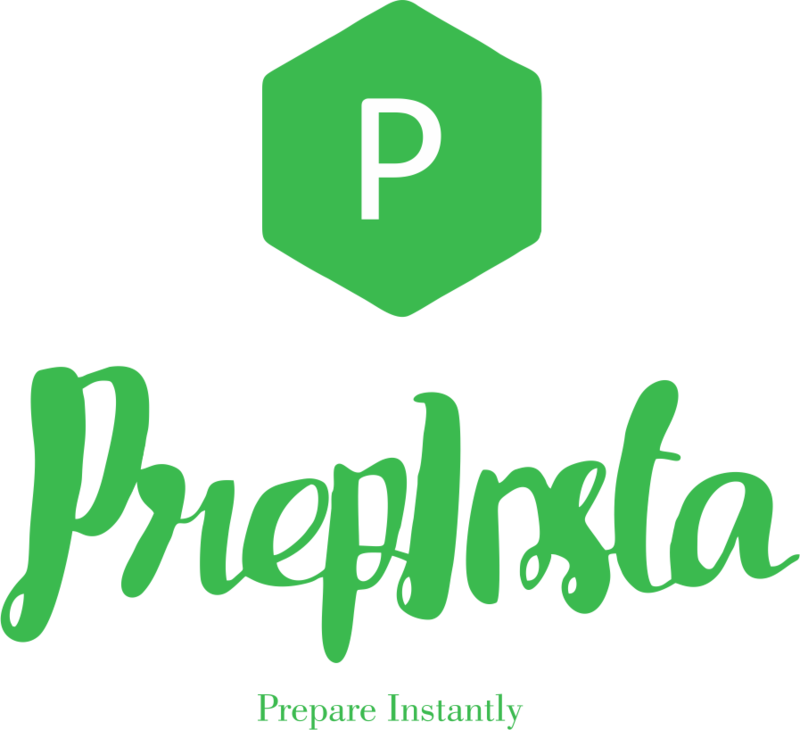 For Capgemini Previous Placement Papers with Answers PrepInsta is the best website you should be preparing from we have all the previous year questions the best material anywhere for Capgemini Test Papers with Solutions.